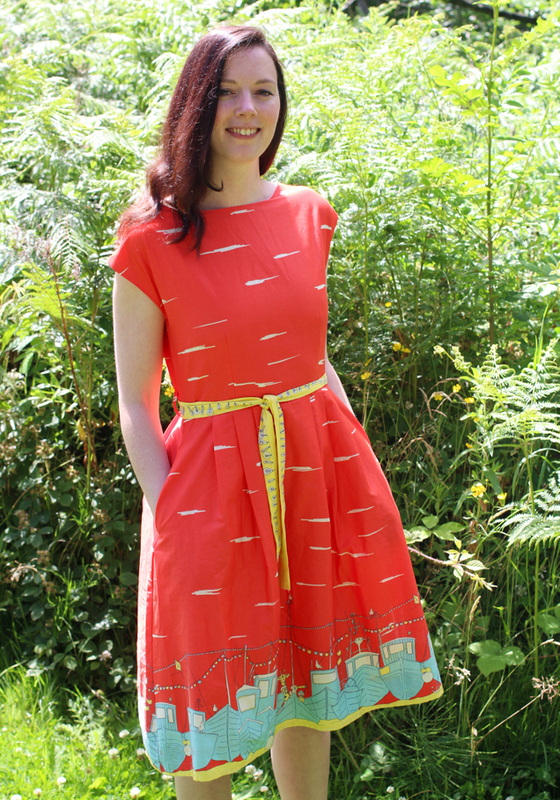 It's a perfect Summer's day, so it was just the right time to put on this beautious Poppy England dress. Poppy England are a lovely little company inspired by picture books, making dresses for little'uns and grown ups (I've been a fan for ages!). 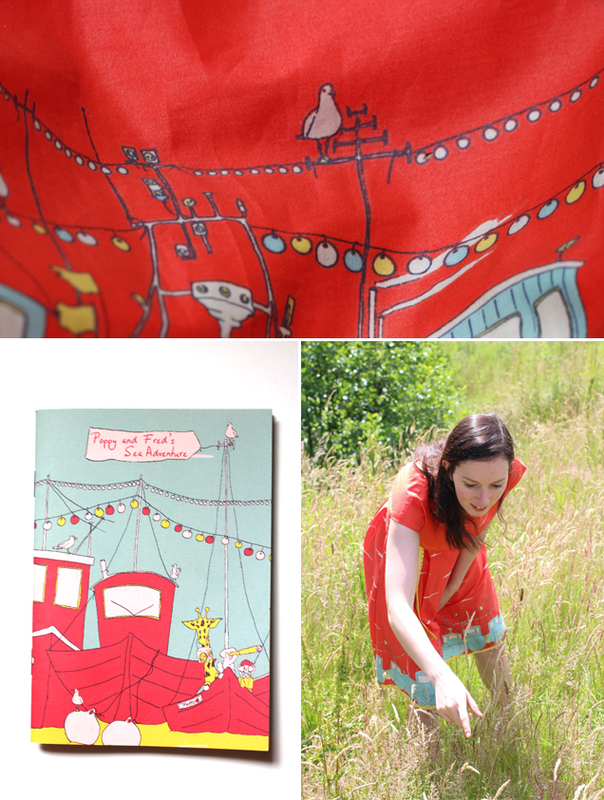 They sent me this Beatrice Boats dress to feature in this project, along with a teeny tiny illustrated book that comes with each item. I went out for a walk on my lunchbreak today and snapped a couple of pictures. There's a great little meadow near my house, and if you're wondering what I'm doing in the picture above, I found a really cool bug (with bright pink wings!). 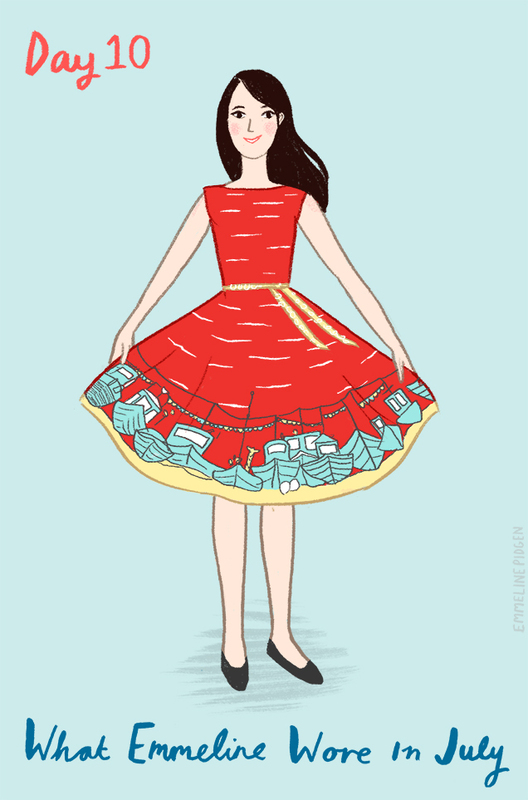 This is now officially one of my very favourite Summer dresses. Life's too short for boring clothes they say!